Elasticsearch is a powerful Open Source search and analytics engine that makes data easy to explore and is one of the foundation pieces of Nagios Log Server – the most powerful IT log analysis solution on the market. 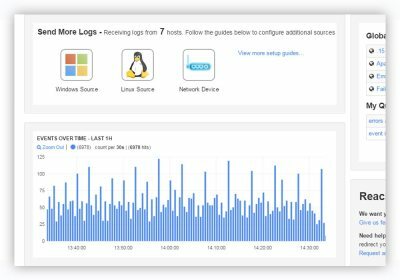 Nagios Log Server extends on proven, enterprise-class Open Source components like Elasticsearch to deliver the best log monitoring and analysis solution for today’s demanding organizational requirements. Nagios provides complete monitoring and management of application logs, log files, event logs, service logs, and system logs on Windows servers, Linux servers, and Unix servers. Nagios is capable of monitoring system logs, application logs, log files, and syslog data, and alerting you when a log pattern is detected. Nagios Log Server is the most powerful and trusted IT log analysis tool on the market. Log Server builds on proven, enterprise-level Open Source architecture to deliver a superior log monitor and analysis solution to meet any of your organization's unique needs.